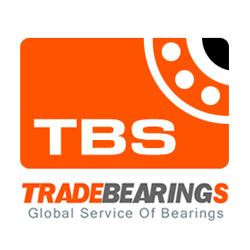 Site Description: Kian Ho Pte Ltd is one of the largest professional stockists, distributors and retailers of bearings and seals in South East Asia and the Far East. It primarily caters to the Wholesale; Maintenance, Repair, and Overhaul (MRO); and Original Equipment Manufacturers (OEM) markets. Kian Ho’s strength lies in the universal application of its bearings and seals products. The company carries more than 35,000 types of bearings and seals that are used in virtually all industries: transportation electronics, construction, oil and gas, and others. This compliments its vast customer network spanning across automotive part dealers, industrial suppliers, hardware dealers, ship chandlers, general trading companies, among many others. KHPL markets its products on a wholesale basis and has developed sales to foreign markets through its subsidiaries in China, Taiwan, Indonesia, Thailand, Vietnam, and Malaysia. Tips:Dear [www.kianho.com] site administrator, the links on this page links to your site, you can quickly come here next time to update your site information!You can be routed to the front of the home position, so that more people see the information for your site.